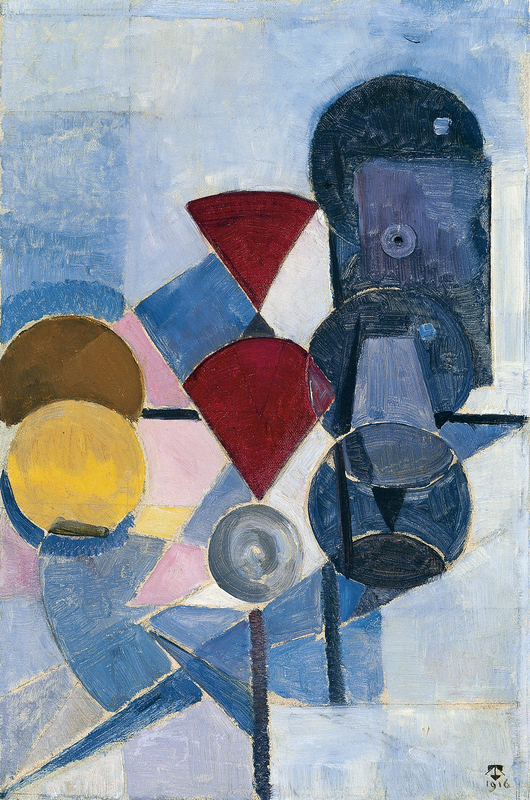 During the First World War, which put a brake on the activity of the European avant-garde, Holland’s neutrality was conducive to the establishment of a group of abstract artists. 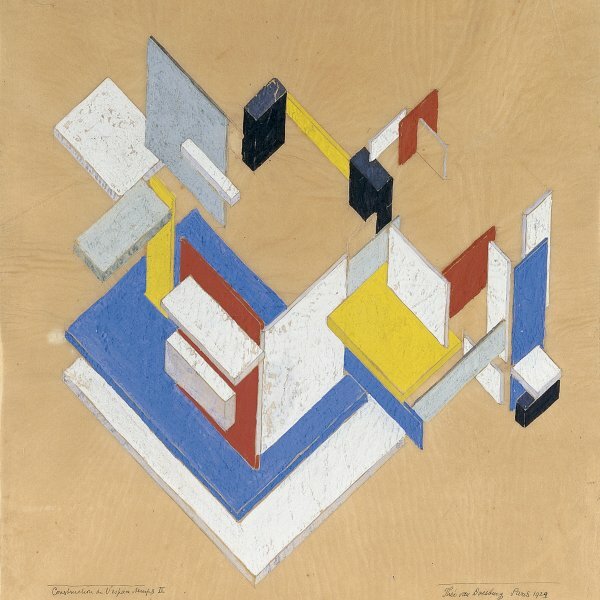 In 1916, the multifaceted writer, painter, architect and sculptor Theo van Doesburg started up the magazine De Stijl, a vehicle of expression for the new Neo-Plasticist language. The first issue came out in October 1917 with the aim of “contributing to the development of a new aesthetic awareness.” Several painters with progressive ideas were involved in the publication, such as fellow Dutchmen Piet Mondrian (back from Paris on account of the war), Bart van der Leck and the Hungarian Vilmos Huszár, the architects Jacobus-Johannes-Pieter Oud, Jan Wils and Robert van’t Hoff, and the sculptor Vantongerloo. 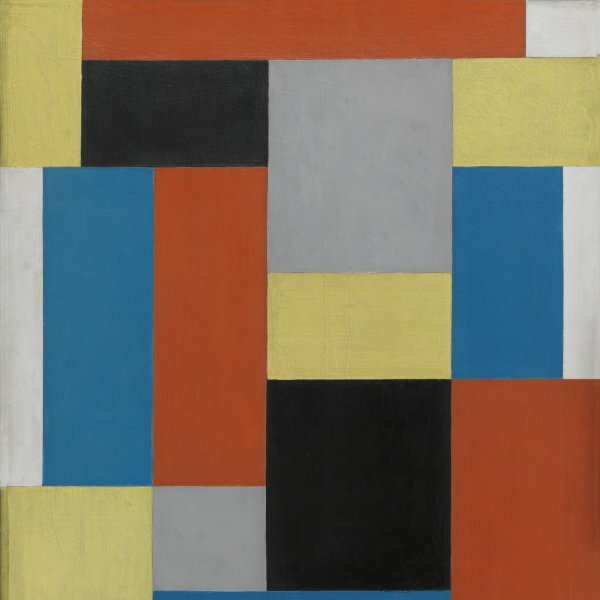 The Thyssen-Bornemisza Composition IIbelongs to a set of four still lifes executed in 1916, which marked the turning point in Van Doesburg’s progression towards abstraction. The Cubist-influenced vocabulary, as described by its first owner the painter Vilmos Huszár in his article in the De Stijl magazine in February 1918, reveals Van Doesburg’s interest in Cézanne and Cubism at the time. However, in his study of the present work, Christopher Green relates the predominance of triangles in all the still lifes from this series to Kandinsky’s writings, in which the triangle is endowed with a special symbolic significance.